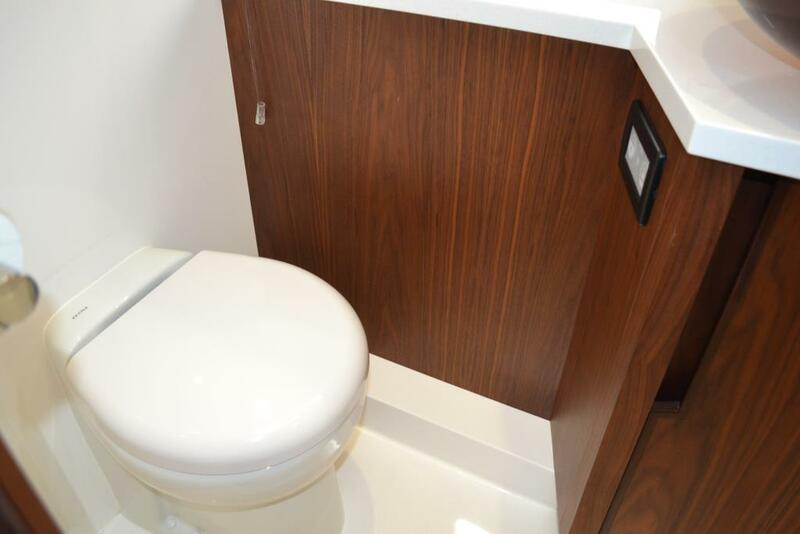 This low-hour (106 Hrs) trade still smells new! 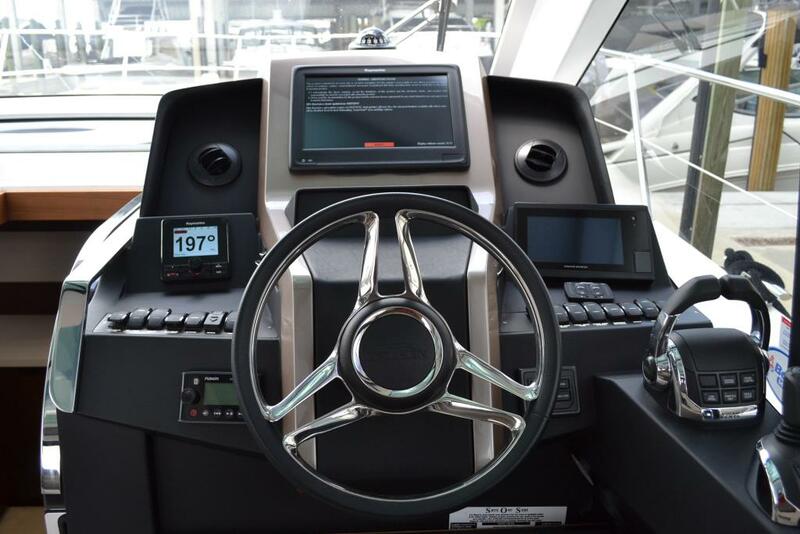 Engines, pods, and generator serviced in July, 2018 and Bottom and running gear just repainted in June 2018. 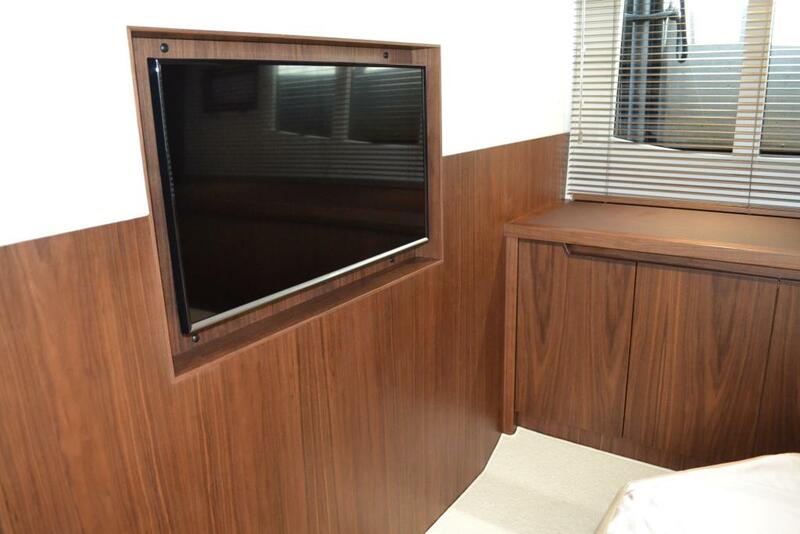 She runs fantastic and the IPS pods and joystick make docking this beauty a cinch! 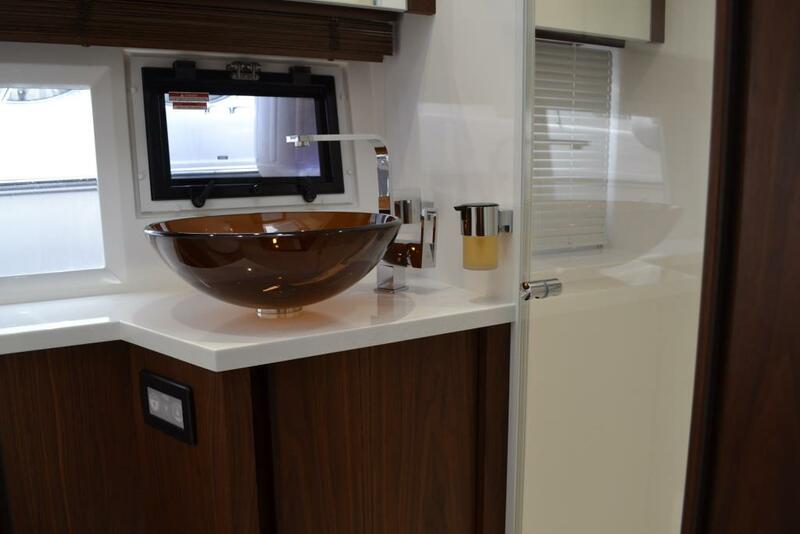 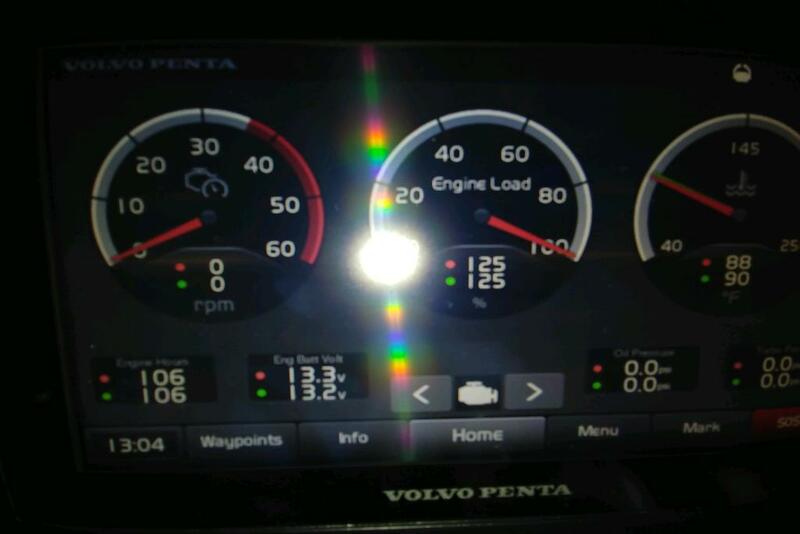 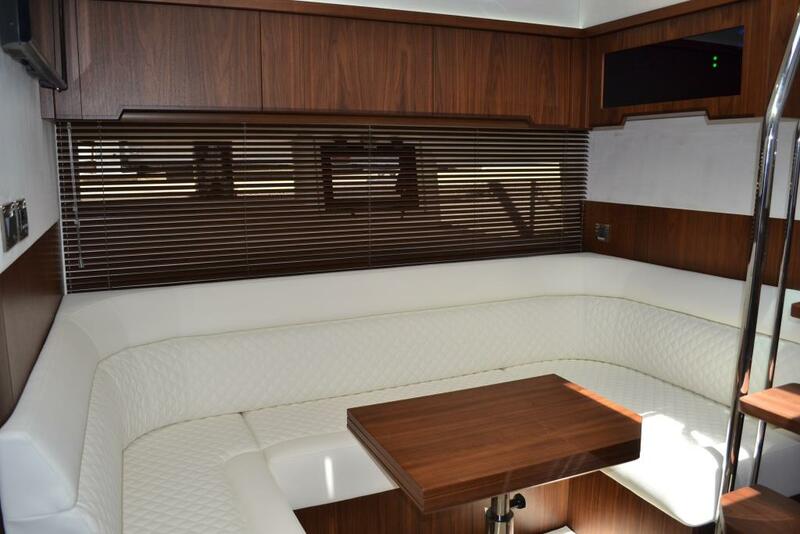 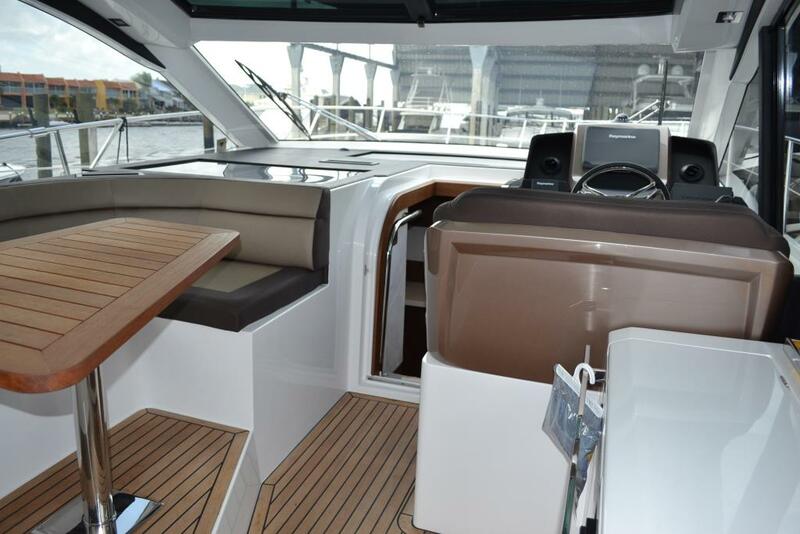 Boat is equipped with the Comfort and Luxury Pack Options, and has an aft electric sunshade that extends over the back cockpit. 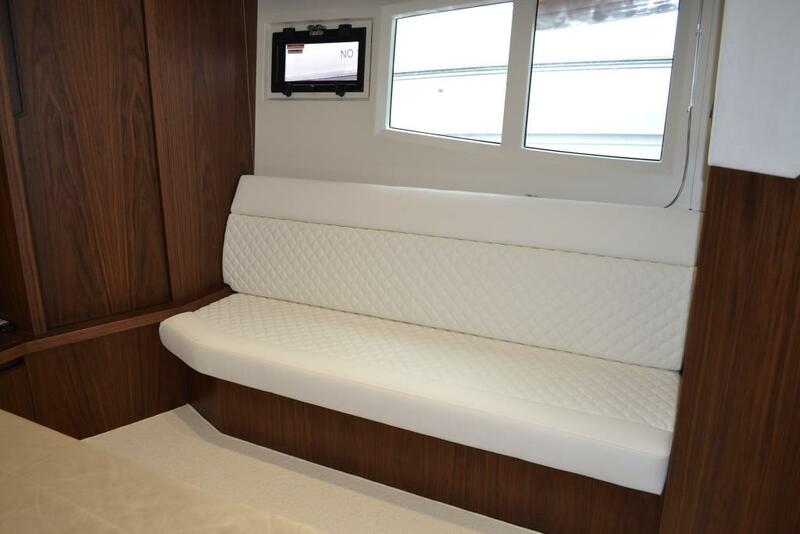 Salon has retractable electronic back wall that drops below to make it an open back cockpit, or you can control the temperature with the back wall up. 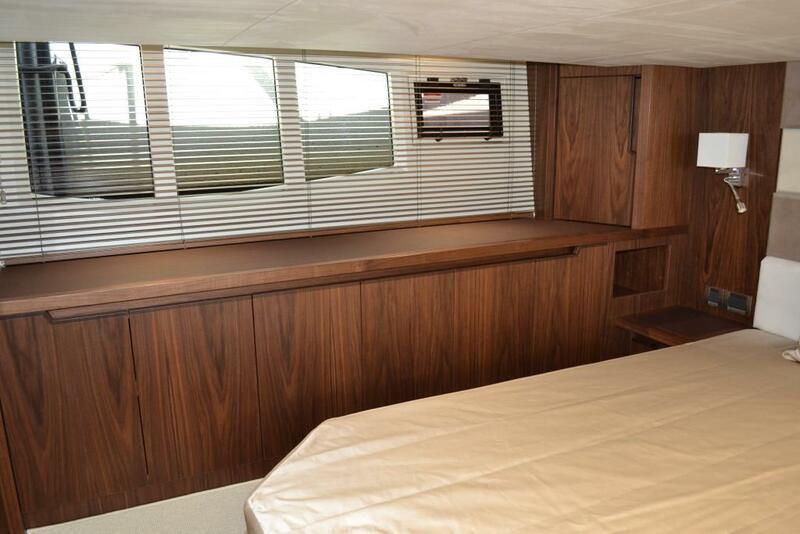 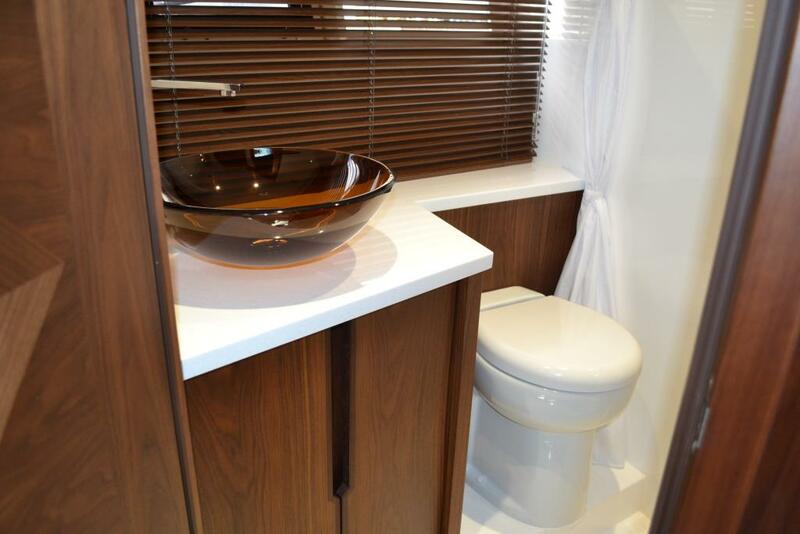 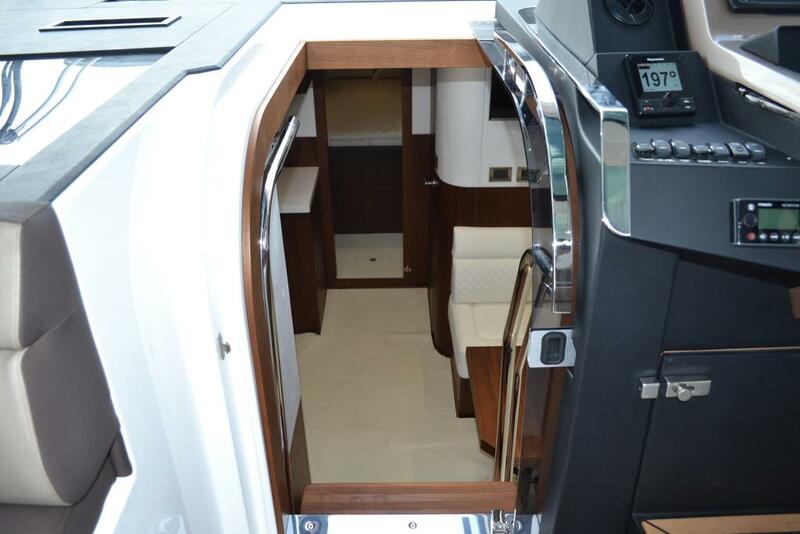 This is one of only yachts in its size class with a dinghy garage, for either a dinghy, paddle board, or beach gear. 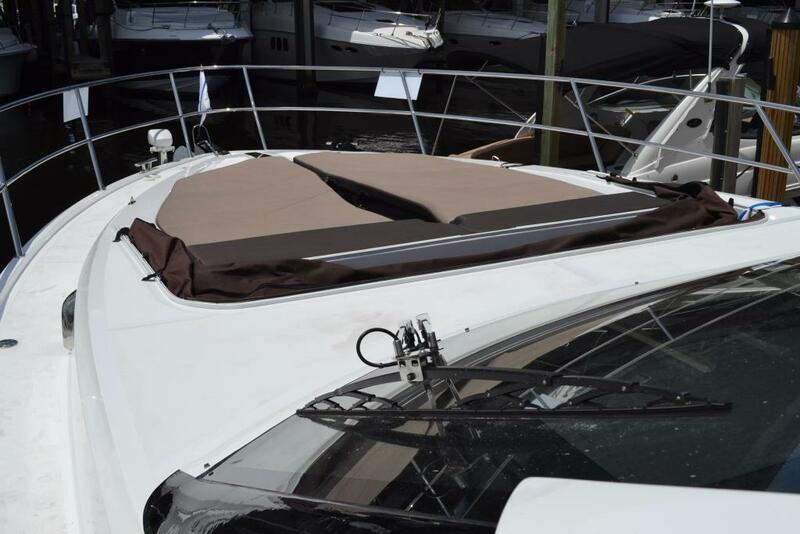 The hydraulic Swim Platform makes getting on and off the boat from a dinghy, paddle board, or just swimming easy when it is lowered. 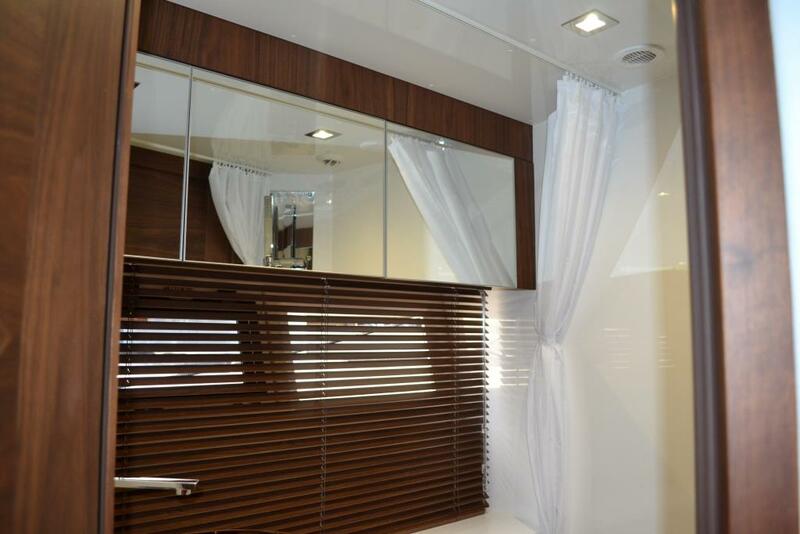 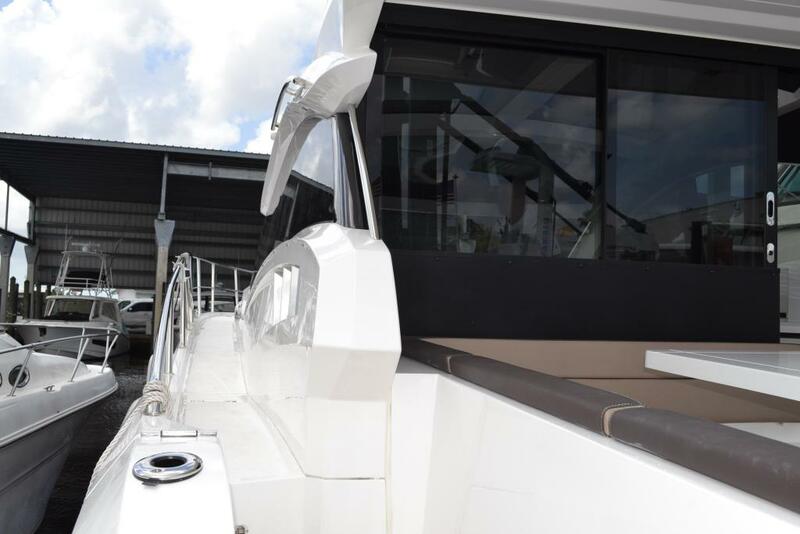 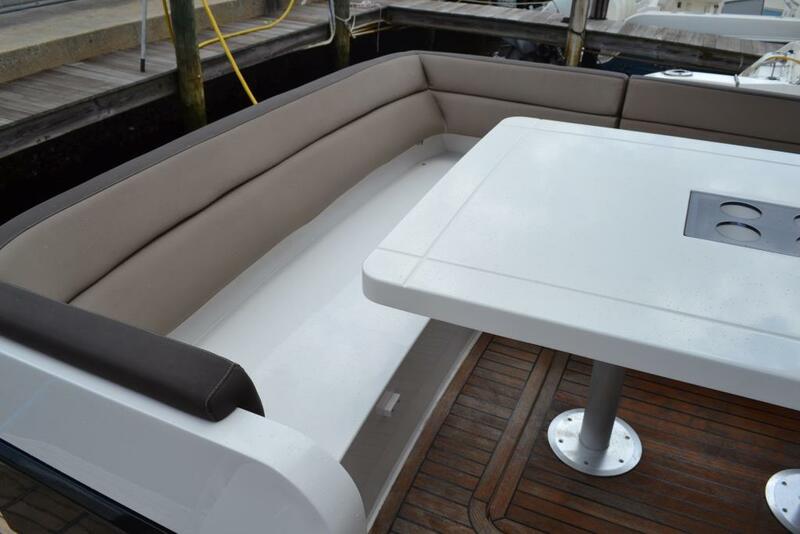 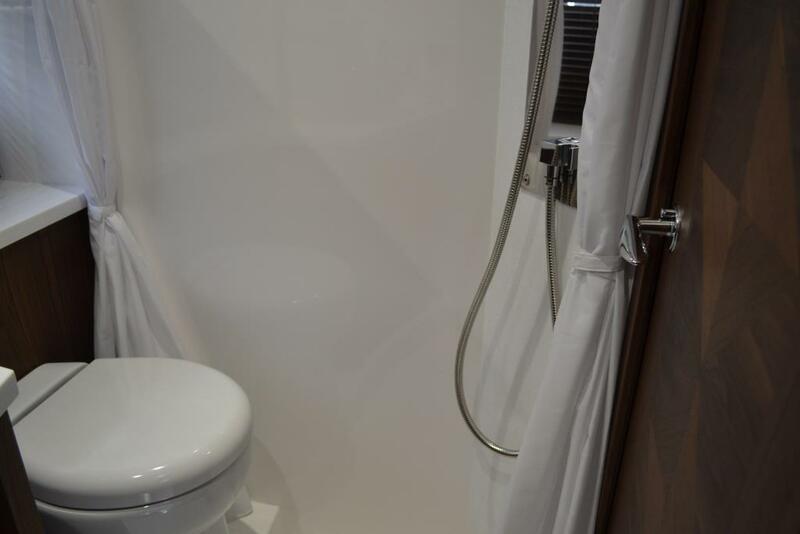 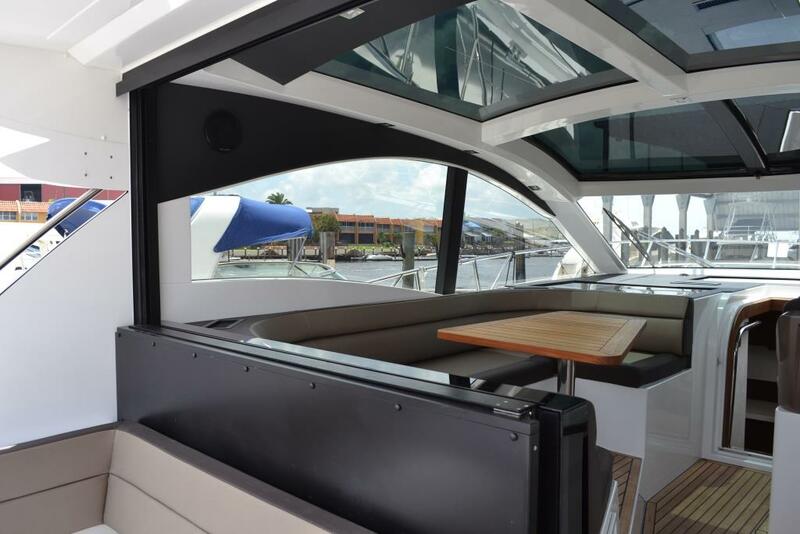 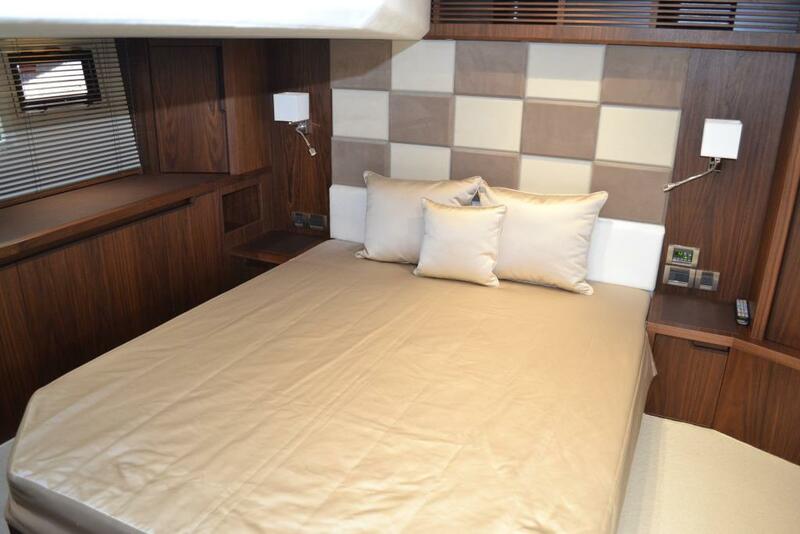 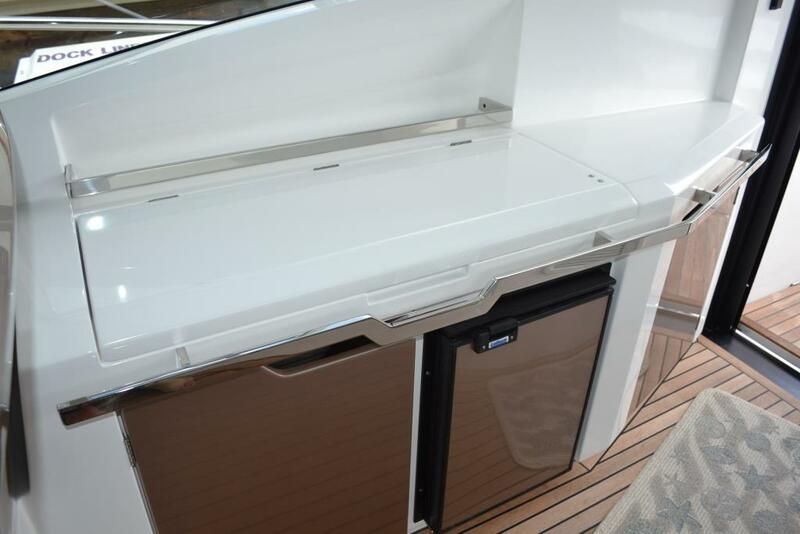 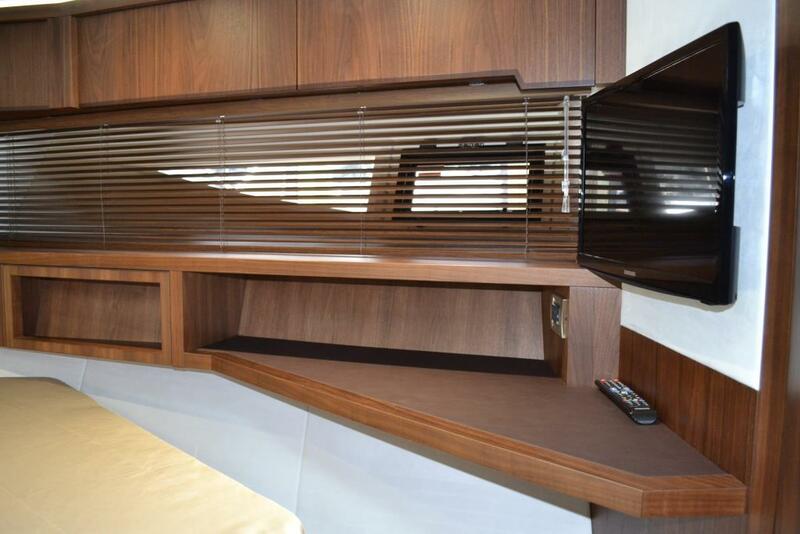 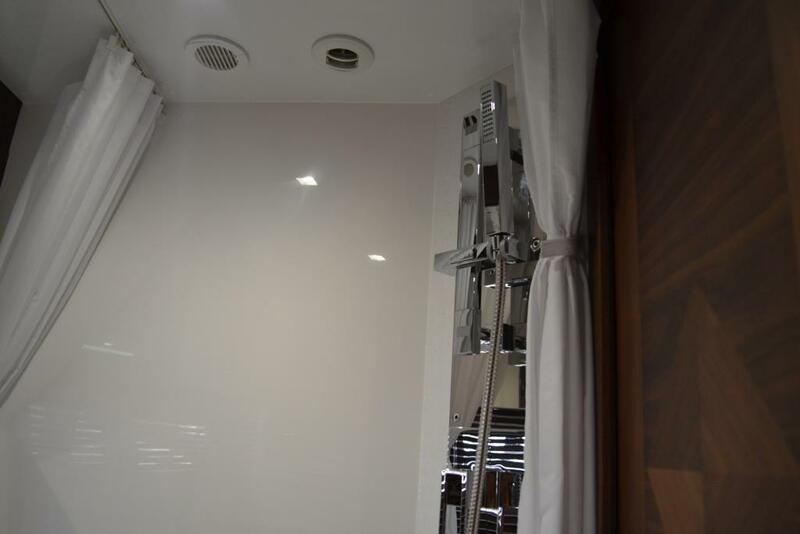 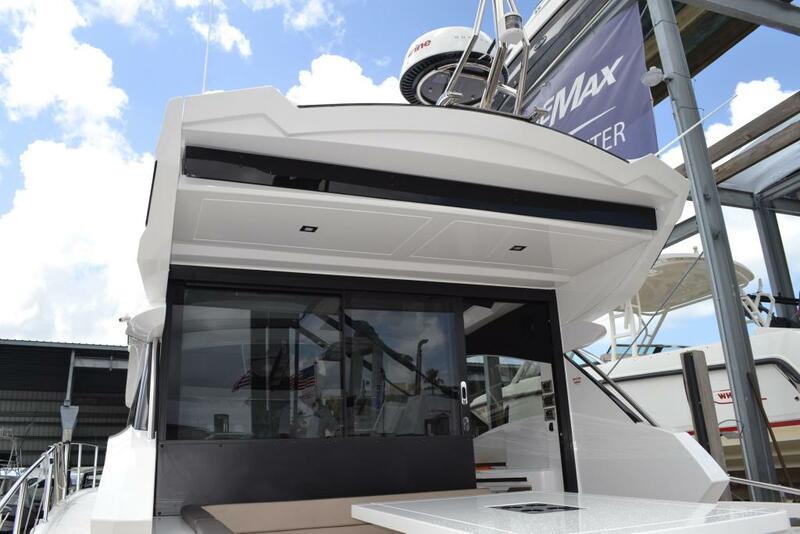 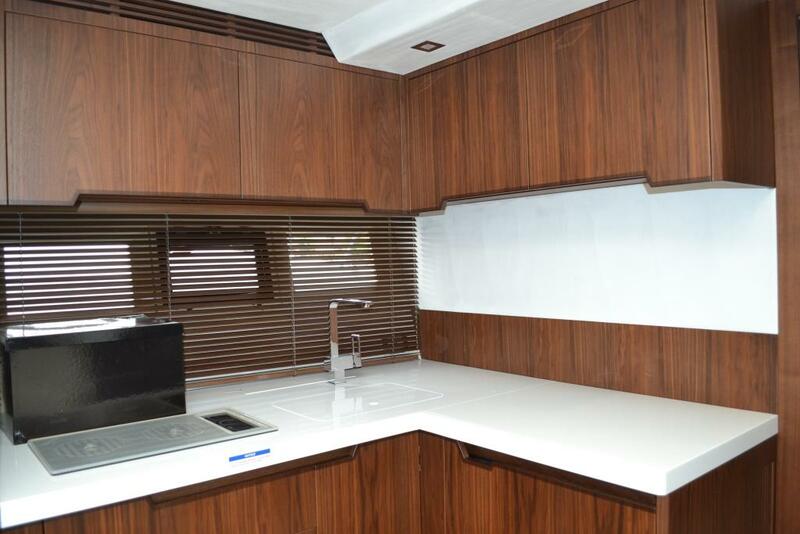 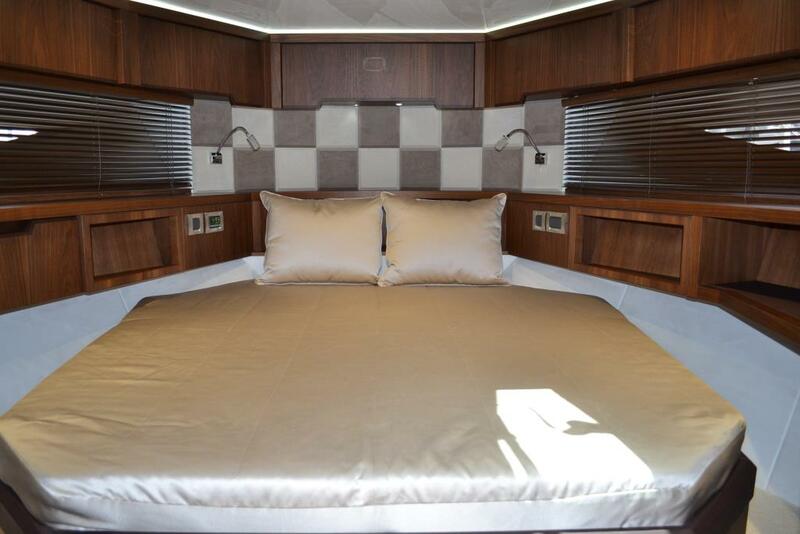 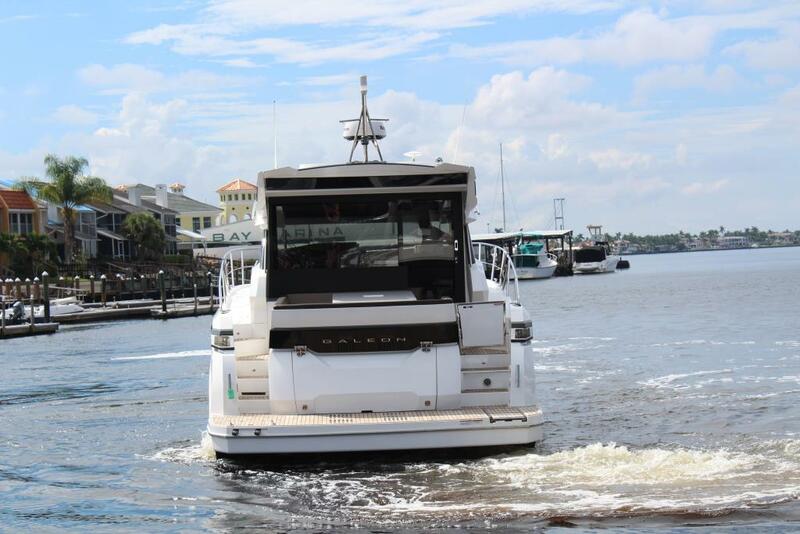 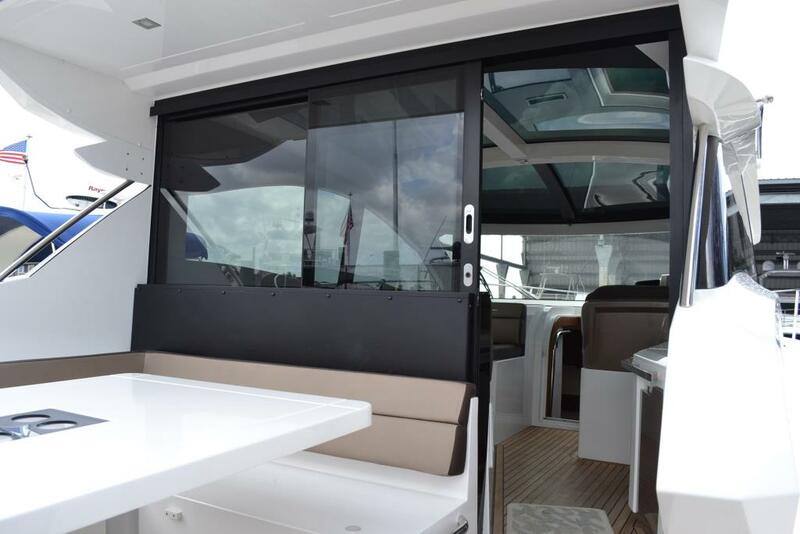 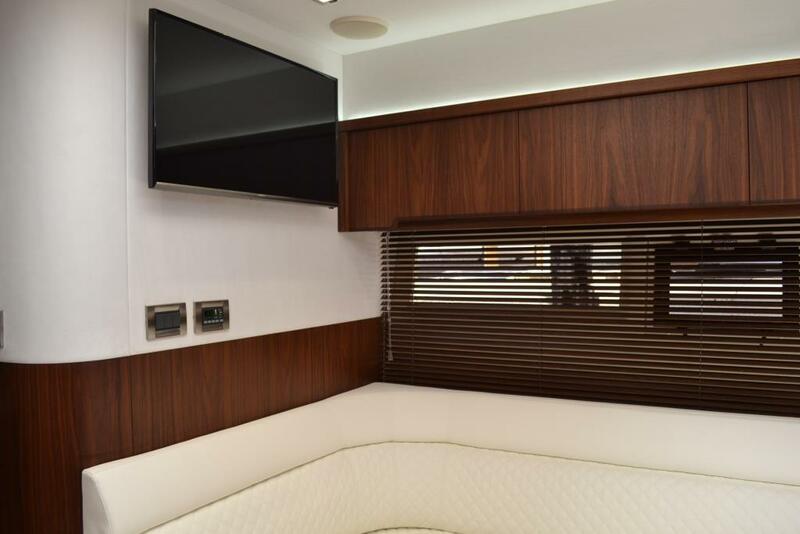 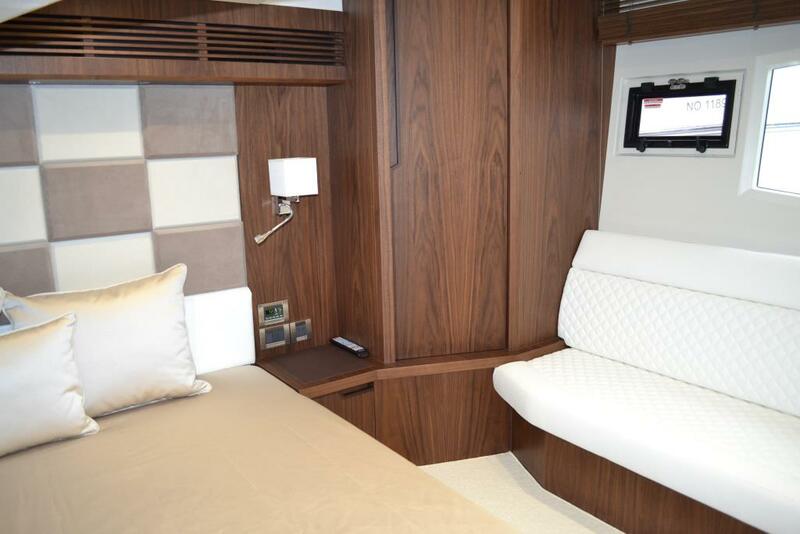 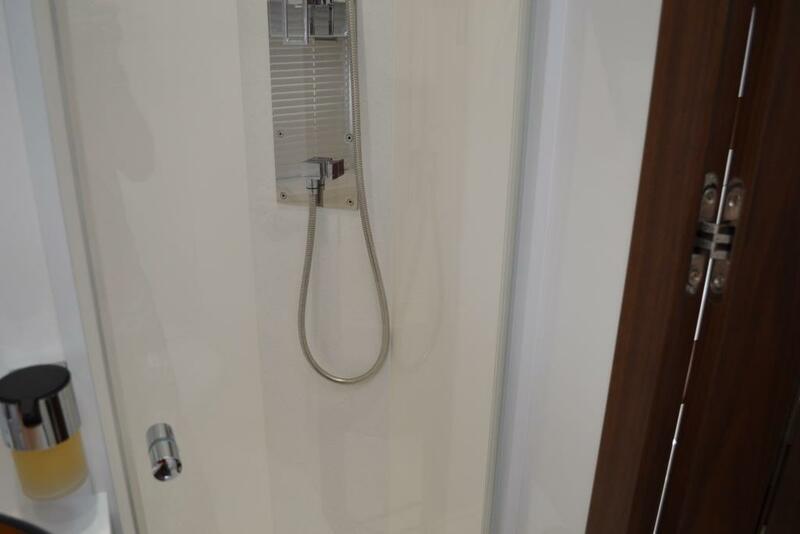 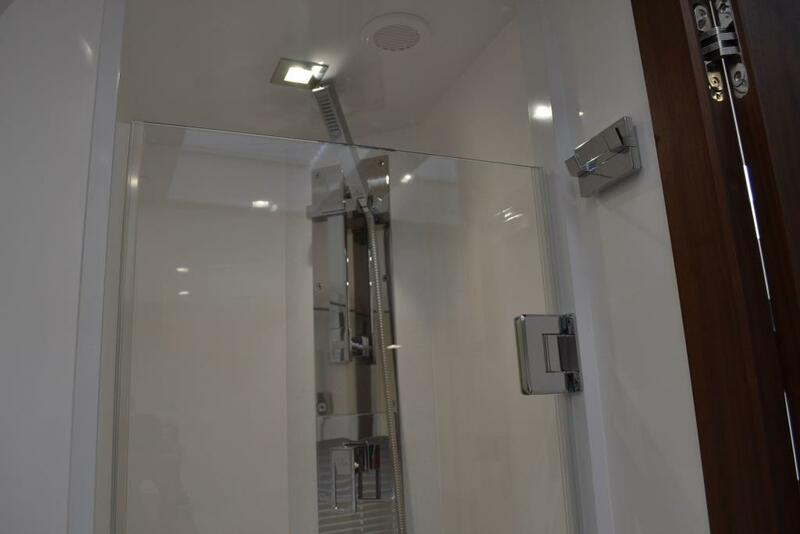 The boat has upgraded window treatments included tinting, and exterior white mesh snap on privacy screens for a cool interior when docked in the sun. 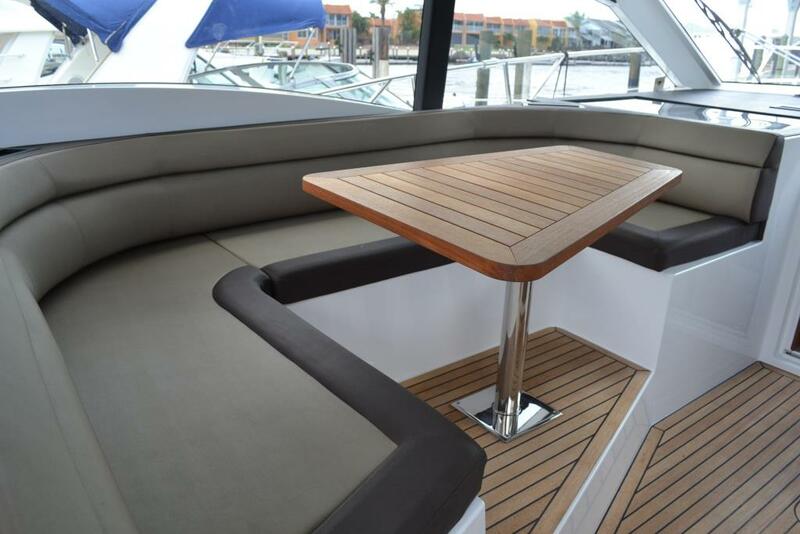 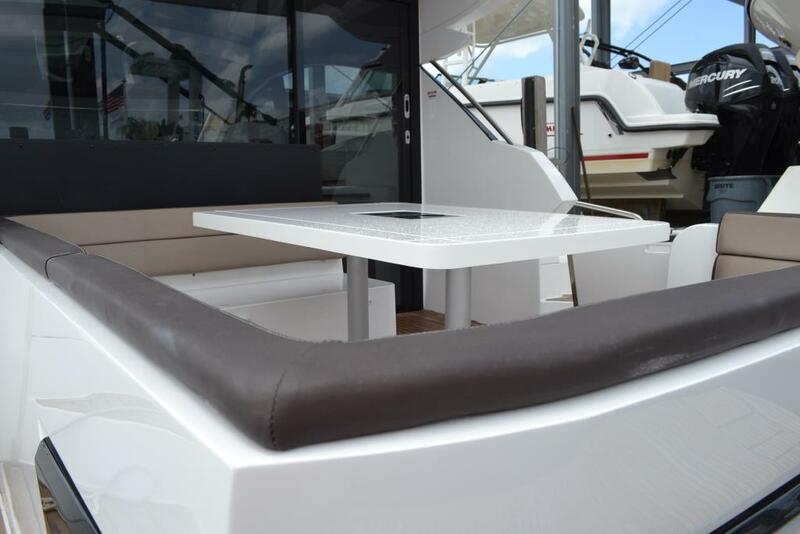 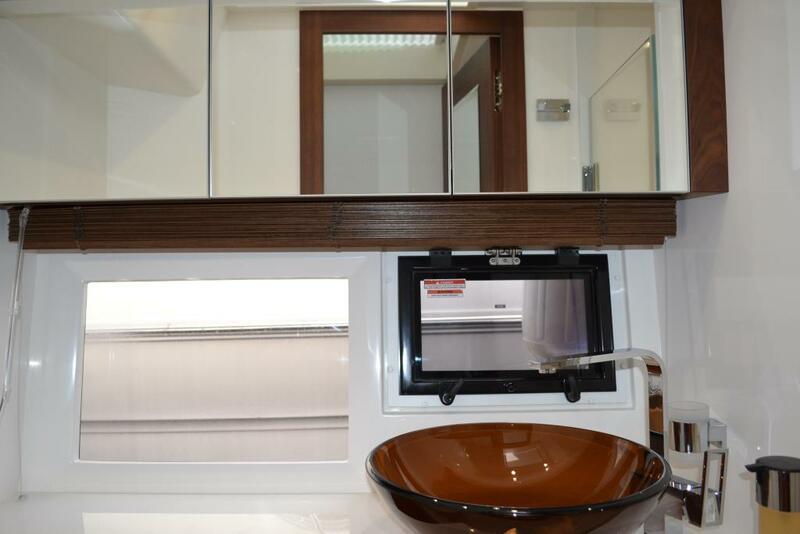 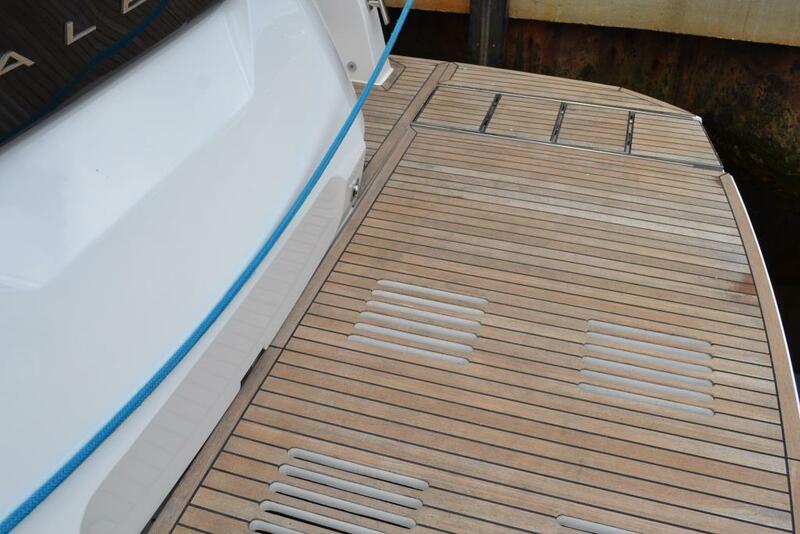 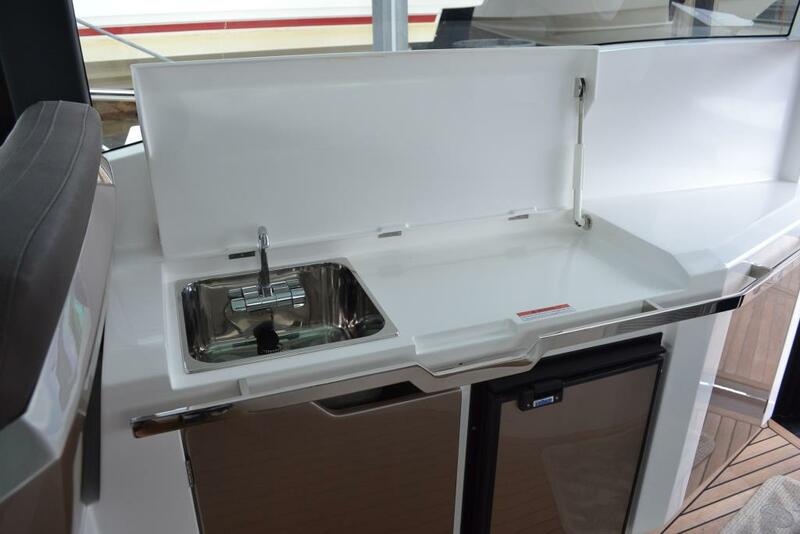 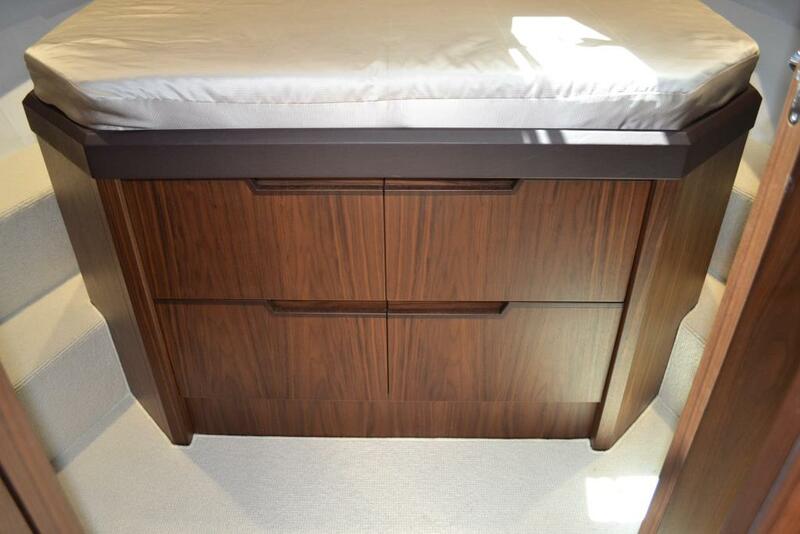 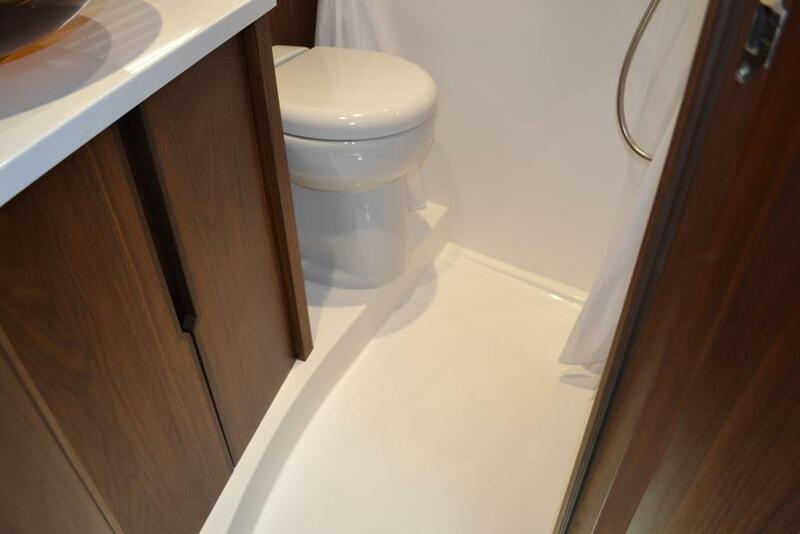 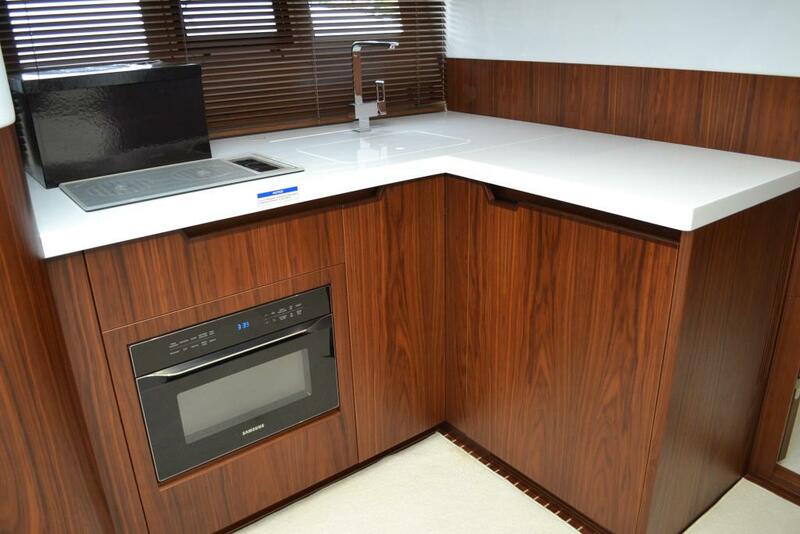 The attention to detail and quality of the fit & finish on the boat has to be seen firsthand. 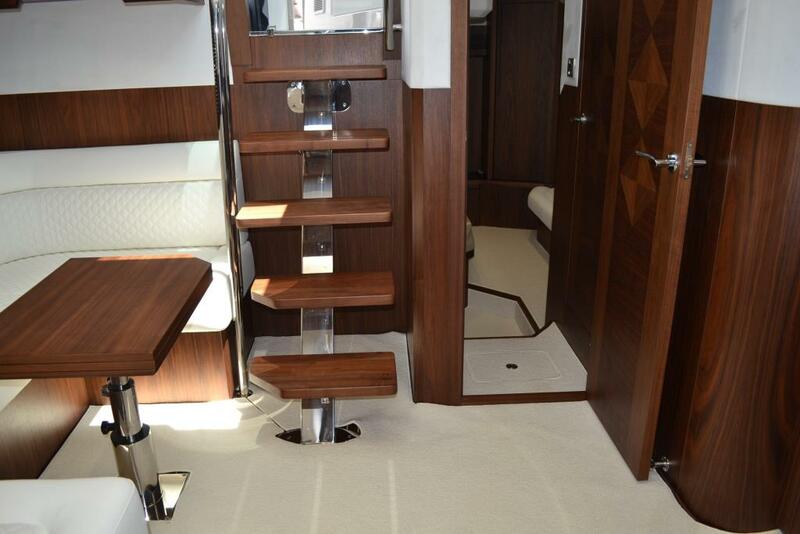 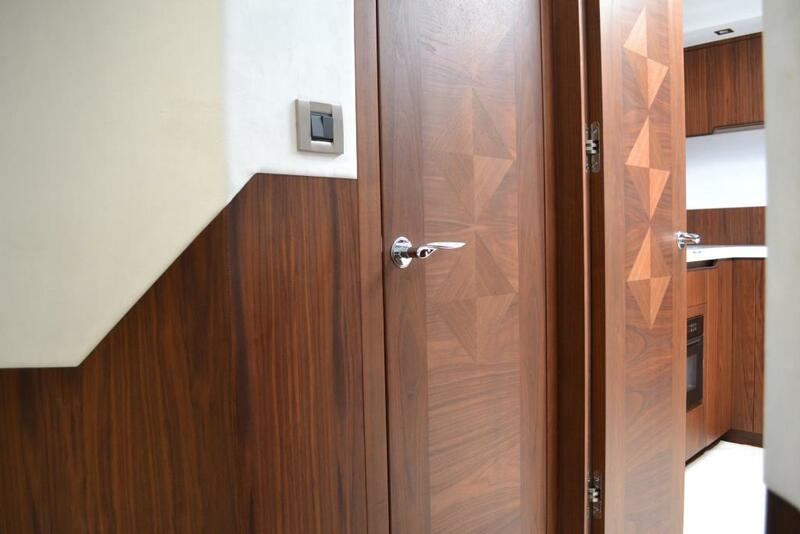 Close any of the doors downstairs to hear how solidly this yacht is built. 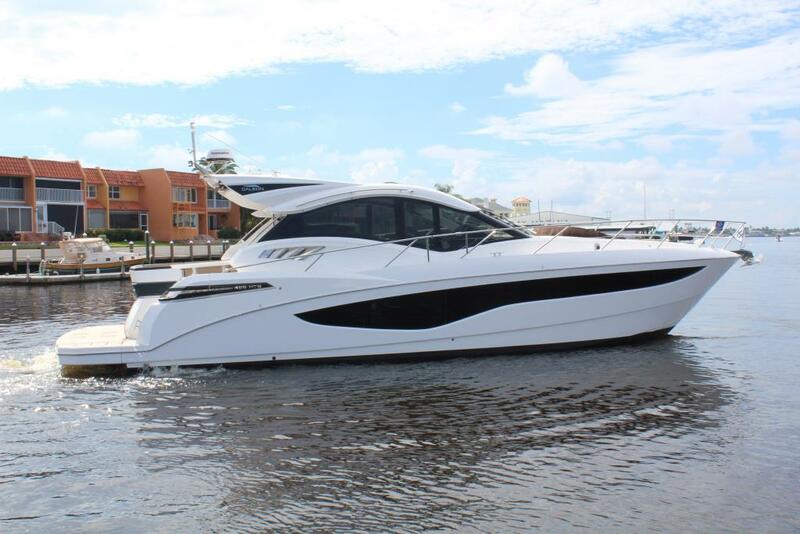 Please call to make an appointment to see as it is the only pre-owned 485 HTS on the market. 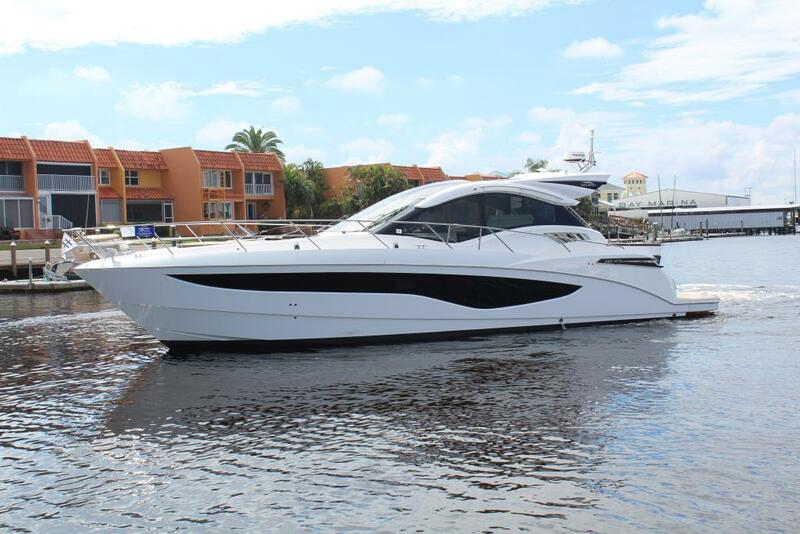 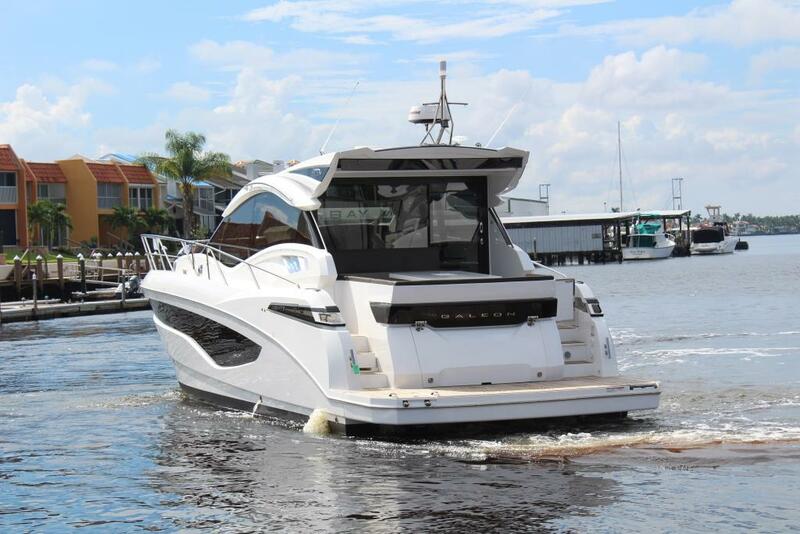 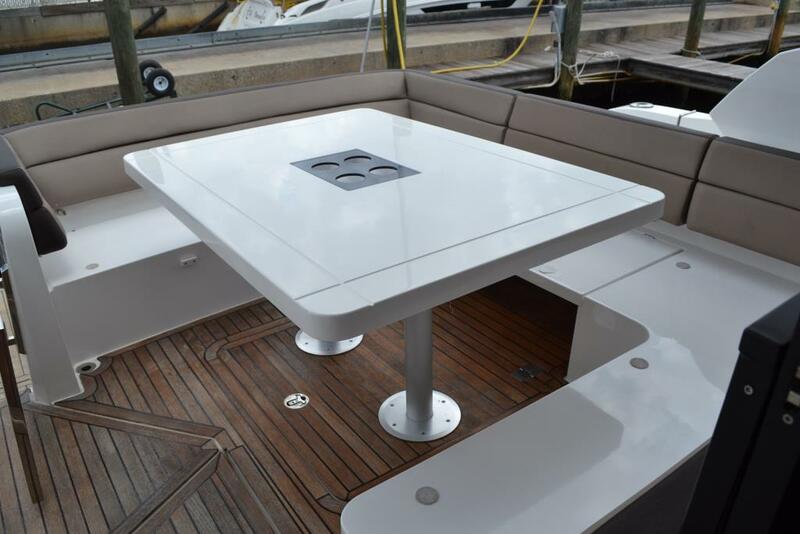 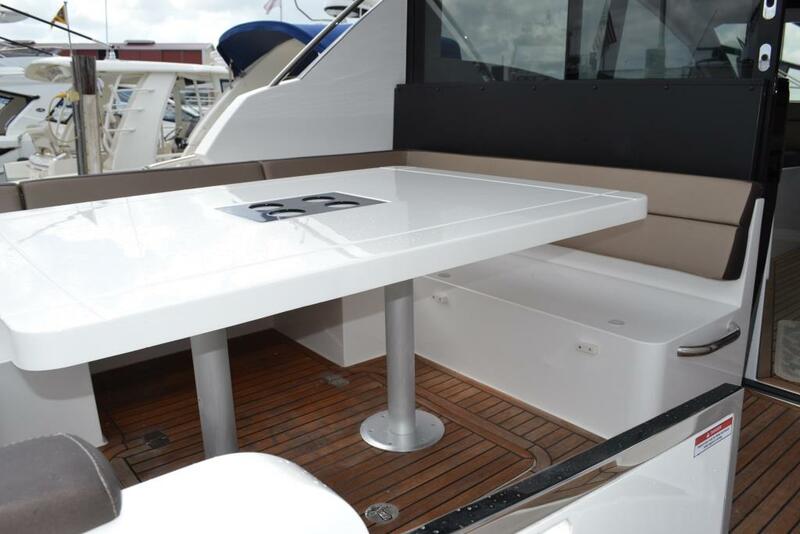 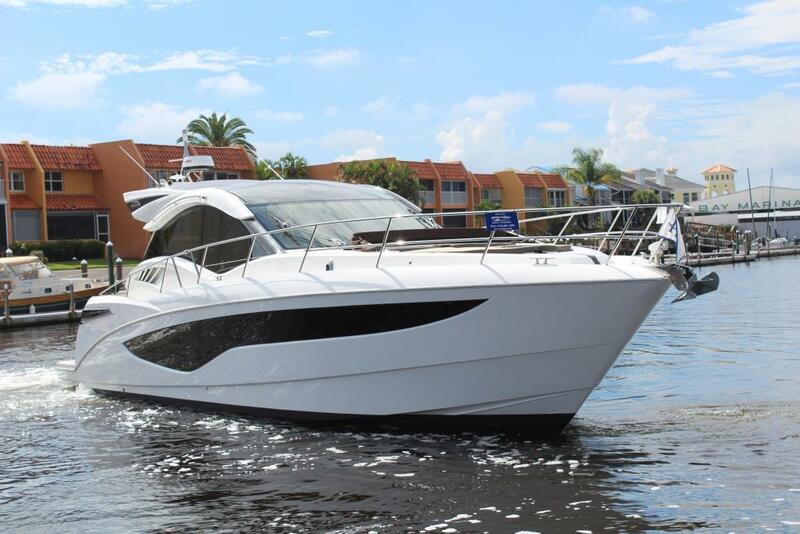 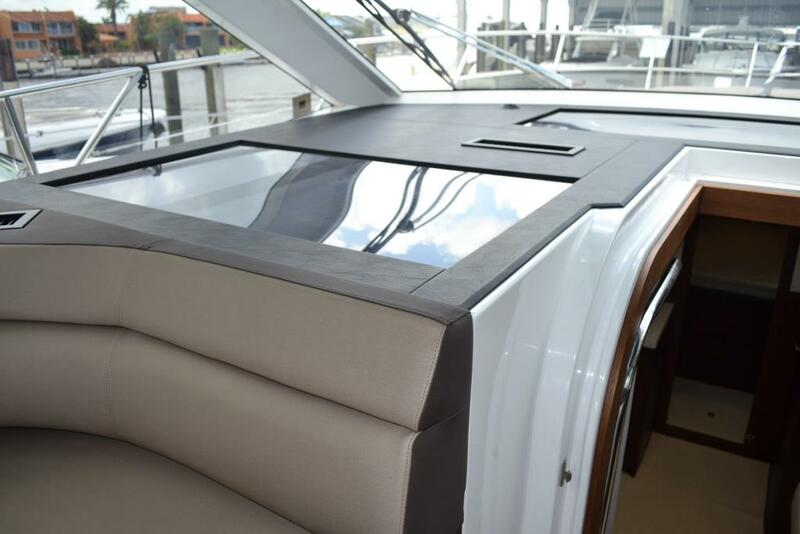 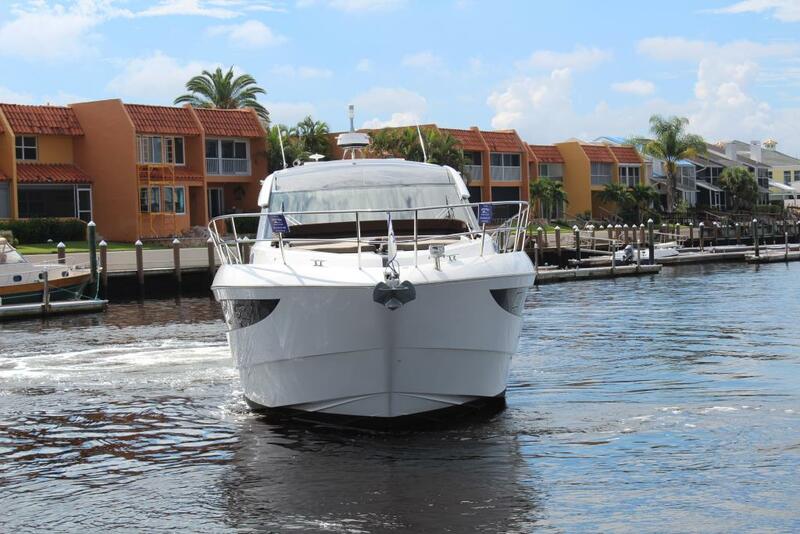 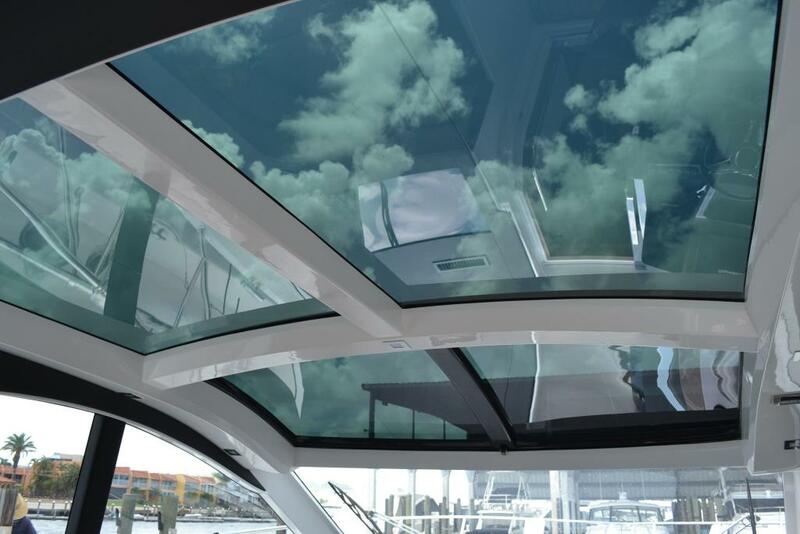 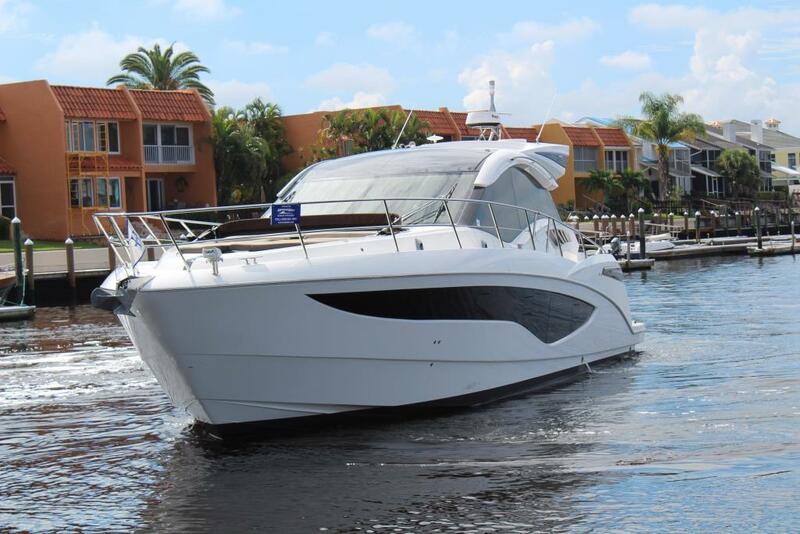 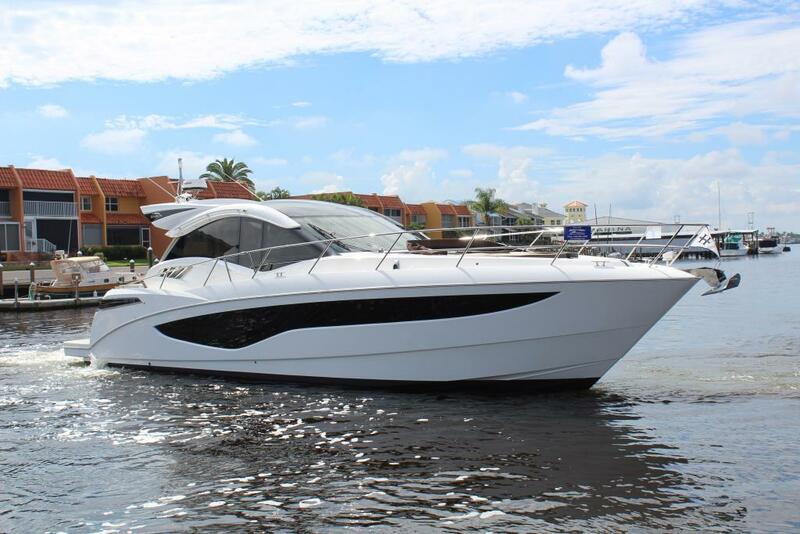 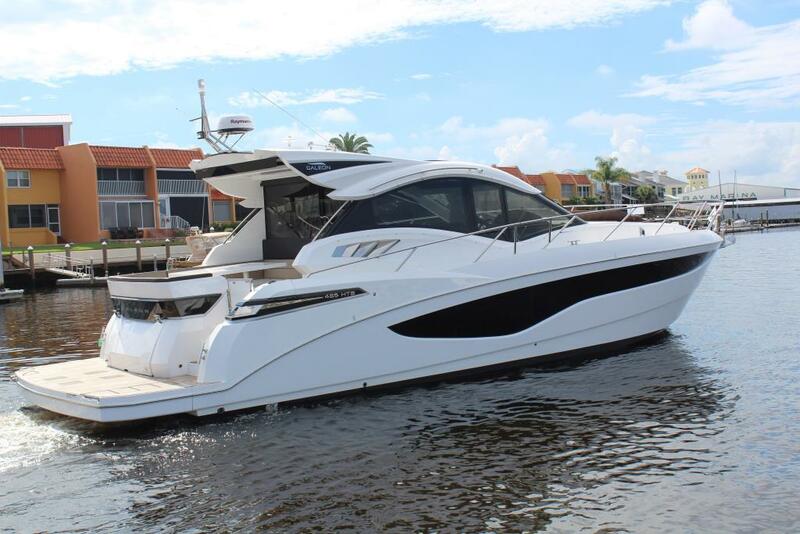 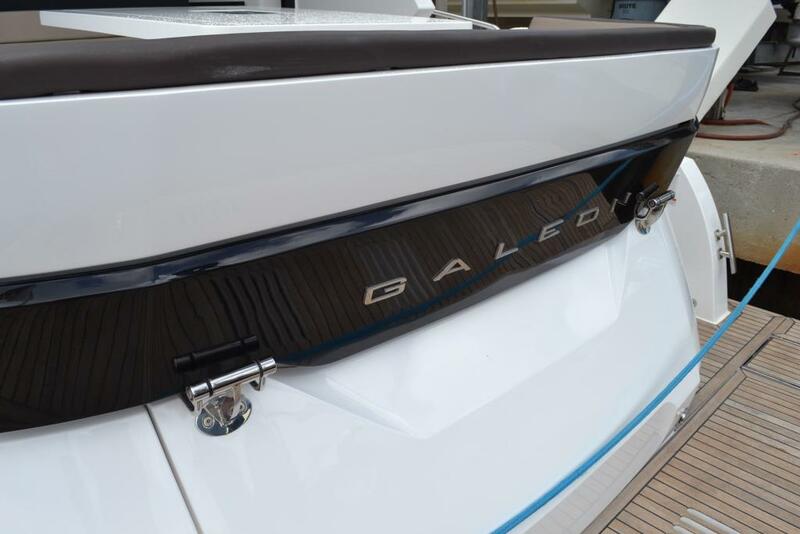 Owners moved up to a Galeon 510 Skydeck as they love the brand!